THANK CONGRESS FOR THE $50 MILLION INCREASE TO CCDBG! 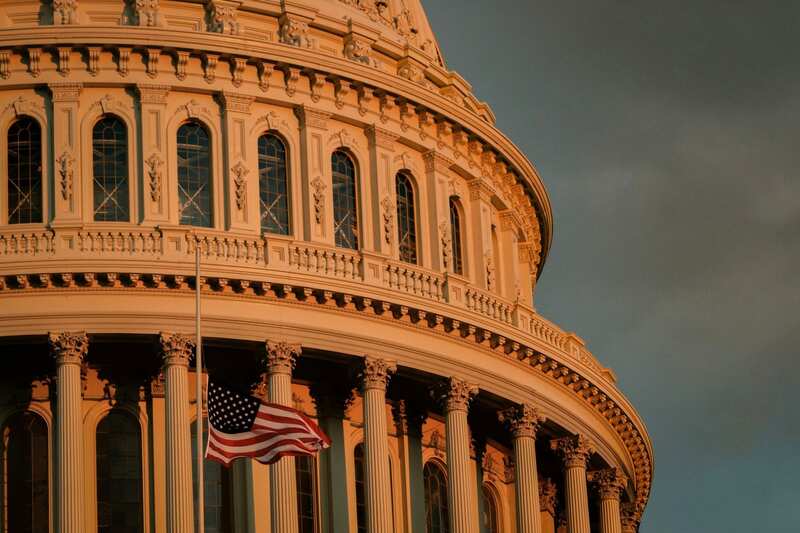 Let your Members of Congress know you are thankful for the $50 million increase to CCDBG and look forward to their continued support for children and families! SUPPORT CHILD CARE FOR WORKING FAMILIES! Child care plays an important role in the U.S. economy, helping to generate 15 million jobs and more than $500 billion in income annually. Yet, on average, millions of working families pay more for child care than they do for mortgage or rent, transportation, or even food every month. That’s why it’s critical to fund child care and early learning programs so all families can afford care. Tell your congressmembers to support the Child Care for Working Families Act and thank those who already have signed on! 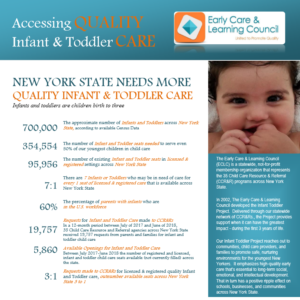 The Early Care & Learning Council and our statewide network of Child Care Resource and Referral agencies (CCR&Rs) are leaders in promoting equitable access to high quality early care and learning that benefits and supports New York State's children and families. Support a vibrant, dynamic and adequately funded CCR&R system. These policies provide a framework for enhancing young children's learning and development, supporting parents' participation in the workforce and strengthening economic development and success in all of New York State's communities . We believe the time has come for policymakers to prioritize access to high quality child care for all children. Child Care Resource and Referral agencies have the capacity to bring child care information and support to the work place and to assist directly with employers. From the beginning, the work of the Early Care & Learning Council has been focused on public policy and education. 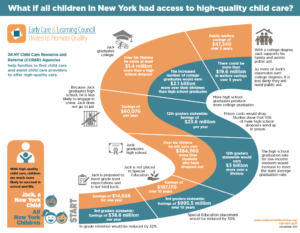 For over 40 years, the Council has worked to secure millions of dollars in funding for quality, affordable child care services in New York State. In the mid-1990s, the Council launched the Child Care that Works campaign. The campaign later merged with efforts surrounding Pre-K to formally convene as the Winning Beginning NY coalition in 2005. The coalition includes a broad representation of individuals and organizations from child care, education, the medical and academic communities, unions and many others. The Early Care & Learning Council currently serves on the steering committee that governs and leads the coalition. In 2017, the Empire State Campaign for Child Care (ESCCC) was founded in the wake of threats to cut up to $27M from the New York State child care subsidy program. ESCCC is a powerful grassroots movement with the capacity to educate and motivate our elected leaders to increase New York’s investment in child care so that all New York families can access safe, supportive, quality child care so that parents can work and children thrive. 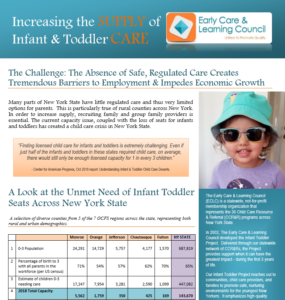 The Early Care & Learning Council, Winning Beginning NY and the Empire State Campaign for Child Care all have an important presence on the Albany public policy landscape. The Early Care & Learning Council continues to serve as a dedicated partner to both groups continues to inform policy makers, business leaders and the public about the benefits of a high quality, affordable early care and education system to children and families. Early Care & Learning Council has a conference room that is available for a variety of events/meetings. Please read the conference room rules and complete the form here. © 2019, Early Care & Learning Council. All Rights Reserved.